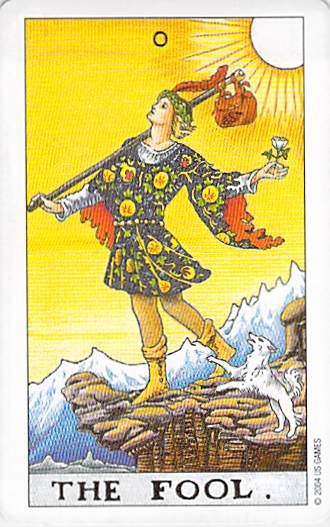 The Fool knows all will be well, even though resources are minimal and the path ahead is rocky and uphill. Maybe even BECAUSE resources are minimal and the path is rocky and uphill! Sometimes it works that way. “Angels watch over children and fools.” Well, if that’s the case, then I figure I’m covered. I know that sounds like a joke, but there is actually some truth in it: faith protects. If you don’t believe me, just ask all the Christians who say they “let go and let God.” What happens when you “let go and let God (or the Goddess, or the gods and goddesses, or the multiverse)”? What happens when you decide to operate on what I like to call “universal GPS”? The first thing that happens is that stress and anxiety drop. Not all of it, necessarily. It’s pretty hard to have that much faith. But it is true that the more faith you have, the more stress and anxiety drop out of your life. Scientifically speaking, that’s a form of protection right there: protection against the stress response, which can unquestionably destroy your health. It’s not only negative protection–protection against something bad happening–but it’s also positive protection, because faith activates the relaxation response, which acts positively to improve your health. And if we’re talking about first chakra, root chakra issues, such as safety and security, health should be right up there at the top of the list. But what about safety from predators? You think you’ve got me there, but you haven’t. The Fool, shown here from Le Tarot des Femmes Erotiques and The Wild Unknown. When it comes to predators, I’d like to invoke another couple of folk sayings that also contain more than a grain of truth: “Animals can smell fear,” and “never run from a predator.” Truth. Why? Predators prey on the weak. That’s true in nature, and it’s true in our human world. And your knowledge of your own weakness is one of the things predators look for during the targeting phase of planning an attack (yes, predators plan–they’re just that organized). If you act like you are afraid, they assume, probably rightly so, that you have reason to be. If you run (at least, if you let them see you running), you are saying, “you are more powerful than I am–I have no chance against you!” Your fear, in fact, puts you instantly on the radar of nearby predators. But what does faith do? It removes fear. And maybe you end up feeling like a fool who doesn’t have the common sense to be afraid–I know I have felt that way many times–but the fact is, your lack of fear, Fool, is the very thing keeping you safe. What do you think it says to a predator if you walk straight toward it and look it in the eye? That absolute confidence in your safety tells that predator that it would be wise to think twice before attacking you. Don’t believe me? Then watch this video of Maasai men stealing lunch from a pack of 15 wild (and hungry) lions. But remember: this principle applies, even when the predators are human. Finally, let’s talk about economic insecurity. Can faith protect you even here? Yes. First let’s talk “law of attraction,” and then let’s talk science and psychology. On a “law of attraction” level, your faith changes your vibration, which makes you feel more confident in the idea that everything will be fine, and that very confidence attracts to you a world in which everything IS fine. Maybe you think that’s nonsense (but your thinking on that may change, if you make a sincere effort to try this). But let’s, again, look at some empirically verifiable realities. Logically speaking, to have economic security, you need certain things: food, a home, health care. Money helps with that stuff. Having a job, or at least regular work (if you are a freelancer or entrepreneur), helps. But to get a job, or to get customers or clients if you are an entrepreneur, you need confidence (aka faith). Otherwise you won’t even apply for that job. You won’t pitch that article. You won’t market your small business. You might not even do the work if you do get it. Or you’ll do the work, but won’t charge an appropriate amount for it. All because of lack of faith that any of this will even work out or lack of faith that your work is worth somebody paying you for it. I think this is what people mean when they refer to “fear of success.” It’s not so much actual fear of success–who would fear success, seriously?–it’s lack of faith. Getting work requires taking risks and taking risks absolutely requires faith. Follow my logic on this, and you’ll find that even if you are not religious, even if you’re not into “woo” or law of attraction or anything spiritual, even if you confine your analysis of how faith operates to the empirical world, I’m still right. Faith protects. So try to find it in you to have some. 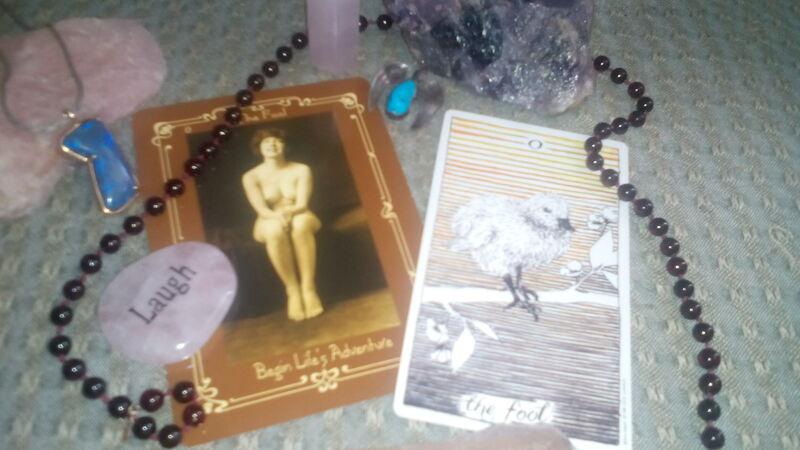 Previous Practical Tarot: What Cards Might Represent Waiting for a Bus? Great post. Wonderful, the lions’ disbelief. Less ‘innocently’, anger also drives out fear.